Jess Tocco hopes her firm can benefit from the scramble for infrastructure money across the country. Toward that end, Tocco is leading a new effort at the lobbying/PR shop Rasky Partners to develop a national lobbying practice, state by state. Rasky, led by CEO Larry Rasky, is already one of the busiest lobbying firms in Massachusetts, and it has a D.C. office. Tocco sees more opportunity for Rasky Partners in the nation’s heartland. Tocco got her start in politics in her native state of Indiana. There, she developed close ties with Mike Pence after working for him during his first congressional bid. When Pence was elected vice president in November 2016, Tocco’s Pence ties prompted several local lobbying firms to offer her a job, she says. She ended up picking Rasky, in part because she had worked there before. “When Vice President Pence won, there was a real vacuum in Massachusetts among the top lobbying firms when it came to the new administration,” Tocco says. A year later, Tocco was promoted to lead Rasky’s new national push. She says the 40-person firm has already hired someone to work in Indiana and discussions are underway with people in Ohio, Florida, Pennsylvania, and Connecticut. Tocco would like to open doors for clients in all 50 states, either through direct employees or by teaming up with another lobbying firm that already has local ties. Why now? She says a number of her firm’s clients — such as Brisa, CDR Maguire, and J. Derenzo Cos. — want to land more federally subsidized infrastructure projects. 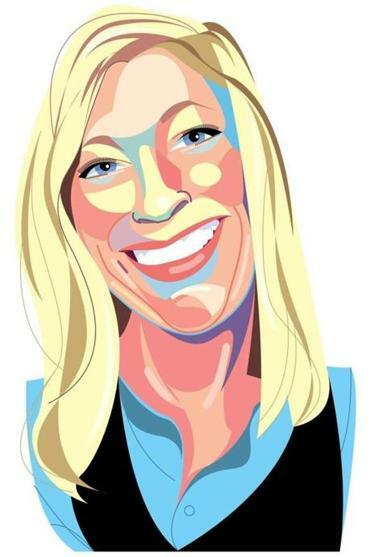 If her last name sounds familiar, maybe it’s because she is married to John Tocco, a local Wynn Resorts executive whose father is Steve Tocco, the ML Strategies CEO. Steve Tocco happens to lead Boston’s busiest lobbying firm, a Rasky rival. Still, the elder Tocco has been a great mentor, she says, though one can only imagine what Thanksgiving dinner in the Tocco house is like. MGM Resorts International is building a $950 million casino in Springfield. So why is MGM forking over big money to help a summer camp for Boston kids, 90 miles away? For those who know Jack Connors, a consummate salesman, it should come as no surprise that he is involved. The ad exec-turned-philanthropist has been the linchpin for Camp Harbor View ever since the late mayor Tom Menino asked him for assistance in setting it up 11 years ago. MGM was the lead corporate sponsor for the latest Camp Harbor View fund-raiser, held at Fenway Park last week. The event featured a discussion of the Red Sox’s prospects with Connors, Red Sox president Sam Kennedy, and Sox manager Alex Cora. MGM Springfield’s president, Mike Mathis, and its CEO, Jim Murren, visited Connors about five years ago, at his office atop the John Hancock Tower. MGM was looking to break into the state’s new casino industry at the time, and the executives wanted the lay of the land. “I was really focused on taking mental notes,” Mathis said. Murren and Connors became fast friends, Mathis said, bonding over their Irish roots. Connors eventually took his guests to his window and pointed to Long Island, off in the distance, where Camp Harbor View is held every summer. Connors gave his spiel. The MGM execs were hooked. Instead, Mathis made his own sales pitch, for the new MGM casino that’s scheduled to open this fall. “Many of you don’t get out to Springfield very often. But we’ve got 950 million reasons why you should,” he said, referring to the cost of the project. Emma Rothfeld Yashar has been elected board president at the nonprofit pedestrian advocacy group WalkBoston. She is a real estate associate at DLA Piper, where she focuses on development, acquisition, and financing of commercial real estate, with an emphasis on land use and project permits in Greater Boston. WalkBoston focuses on making communities more walkable, improving pedestrian safety, and promoting a cleaner environment. “I’m a firm believer that if you design public spaces in a way that makes people feel safe and welcome, and in a way that’s walkable, everything else for healthy business and transportation falls in line,” she said in a statement. Yashar has been the group’s development committee chair since 2014 and the board secretary since 2012. Is the way to their hearts through their feet? Any marathoner knows that a good pair of shoes can give you an edge. Now, Neighborhood Health Plan is about to learn if the right running shoes can put it ahead of the pack. The Somerville-based health insurer, a subsidiary of Partners HealthCare, is offering free New Balance shoes to NHP members, starting Oct. 1, along with $60 vouchers for Home Chef meal kits and CVS Health vouchers for sunscreen. The goal, besides encouraging healthy living, is to reward customer loyalty and to give NHP a way to stand out from its bigger competitors: Blue Cross Blue Shield of Massachusetts, Harvard Pilgrim, and Tufts Health Plan. The benefit will be available to companies with at least 51 employees who have been with the insurer for at least two years. New Balance is creating an online storefront that will allow customers to pick their shoes. They can come back after a year for a new pair, as long as their employer renews with NHP. Vincent Capozzi, NHP’s senior vice president of sales, says he hopes NHP’s move starts a trend in the industry, such as how reimbursement for gym memberships became a commonplace benefit years ago. For now, though, he just hopes the program helps NHP stand out from the crowd. Can’t keep a secret? Tell us. E-mail Bold Types atboldtypes@globe.com.